NBW 2013 is also HS LRC Week! 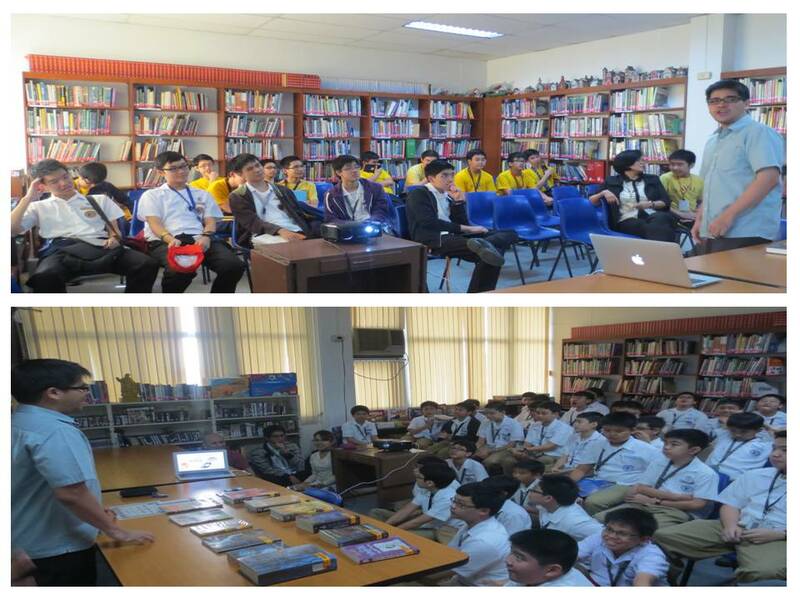 The recently concluded National Book Week (NBW) last November 25-30, 2013 was also dubbed as HS LRC Week. This year’s HS LRC Week was out of the ordinary because the activities offered were done in collaboration with the HS Social Science and HS English departments. The activities revolved around this year’s theme of the NBW which is about promotion of literacy, culture and arts. 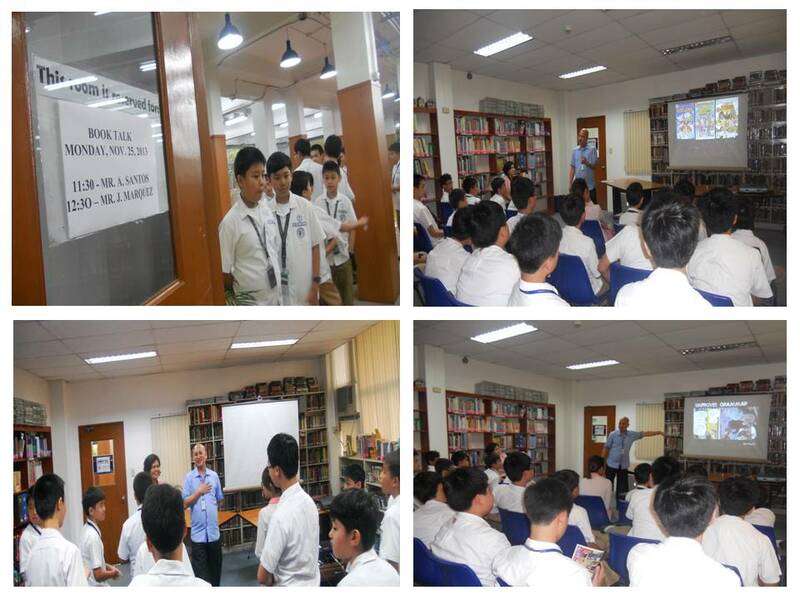 The HS LRC Week started with a back-to-back book talk activities led by Mr. Alex Santos of the HS English for Middle School and Mr. Joaine Marquez of the HS Social Science for High School. 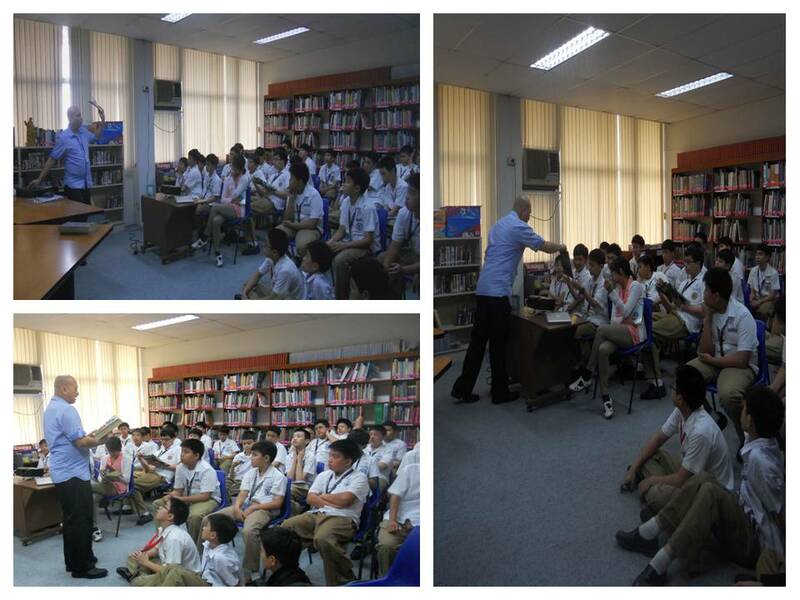 Held at the HS LRC Teacher’s Collection room during MS lunch, Mr. Santos talked mainly about graphic novels which he and the students are enthusiastic of. Mr. Marquez, as one of the forerunners in promoting Filipino culture, featured Palayok: Philippine Food through Time, on Site, in the Pot by Doreen G. Fernandez, Philippine Food and Life by Gilda Cordero Fernando, and 101 Filipino Icons. RA 10556, signed this year by Pres. Benigno Aquino III is an act declaring every 27th day of November as “Araw ng Pagbasa” and shall be known as “The Araw ng Pagbasa Act of 2013”. 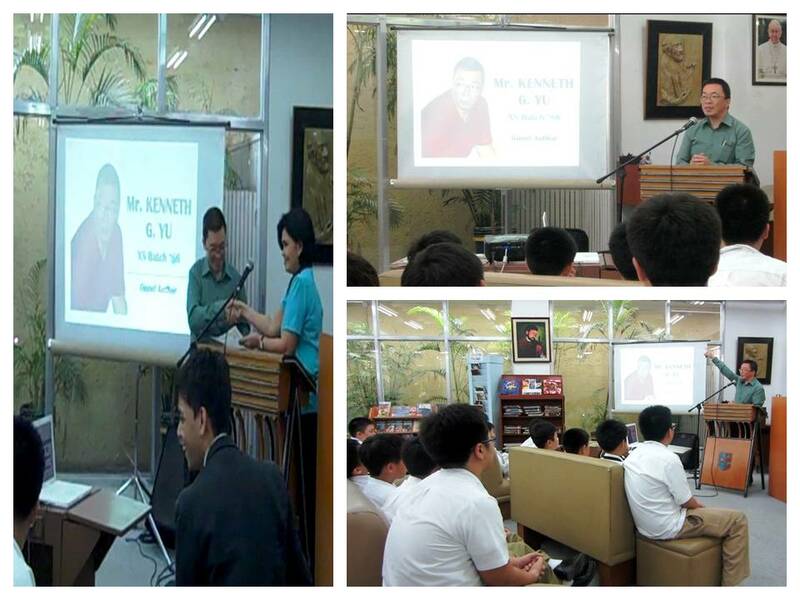 The HS LRC commemorated this day by inviting an author, publisher and XS alumnus Mr. Kenneth G. Yu (Batch ) and was hosted by the HS ComiXS Club. 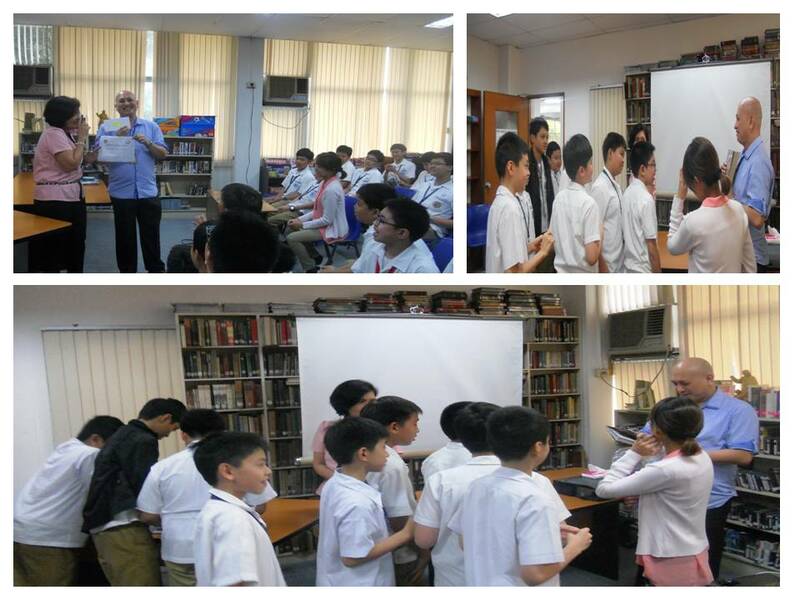 Mr. Yu, the man behind the Philippine Genre Stories, spoke in front of a selected Grade 7 class and some HS students the benefits of reading and how it can bring one to greater heights like himself. 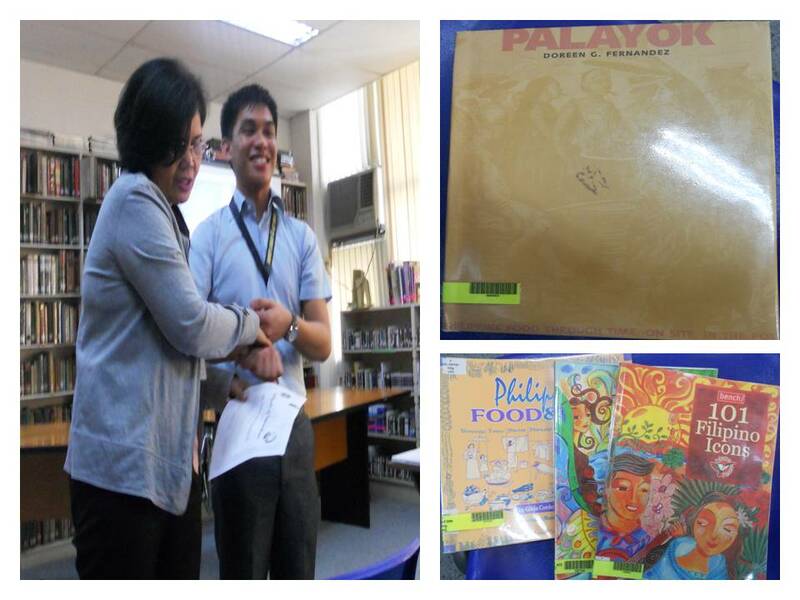 Although the Author Visit was the highlight of the day in celebration of the “Araw ng Pagbasa”, this day was also declared as Amnesty Day by the HS LRC when all library services and overdue fines were waived. This is to encourage everyone in the community, students and F&S across all units, to continuously use and avail HS LRC’s services and resources. To cap off the NBW and HS LRC Week, a focus group discussion (FGD) was conducted last November 28, 2013 which was facilitated by Mr. Allan Alibudbud for both Middle School and High School during lunch breaks. With the theme, “What’s Your Genre?”, the FGD aims to educate students about the different genre and to help them determine their reading preferences. 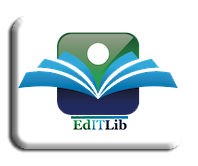 The outcome of this activity can also serve as basis for the collection development plan of the HS LRC. The series of activities during the NBW and HS LRC Week simply proved that the library is not just a place for reading but is also an ideal venue to promote culture and arts. Thank you to everyone who participated in this year’s HS LRC Week celebration! 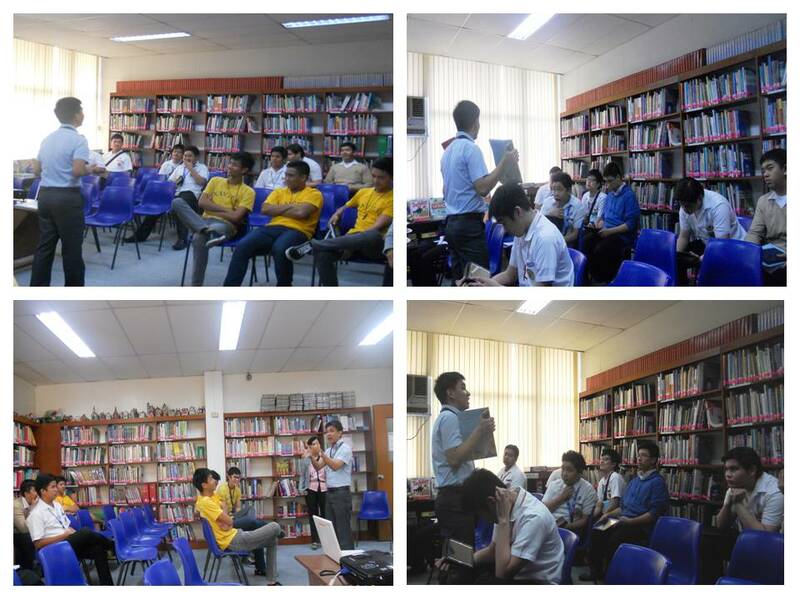 Tags: Amnesty Day, Araw ng Pagbasa, Author Visit, Book Talk, FGD, Focus Group Discussion, Genres, HS LRC Week, National Book Week 2013, NBW 2013. Bookmark the permalink.